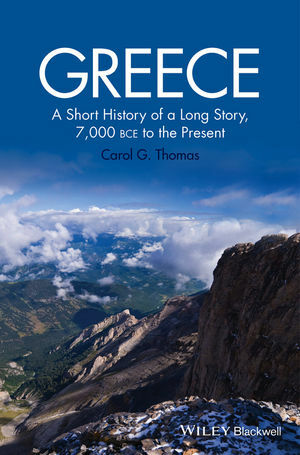 Greece: A Short History of a Long Story presents a comprehensive overview of the history of Greece by exploring the continuity of Greek culture from its Neolithic origins to the modern era. Carol G. Thomas is Professor of History and Vidalakis Professor of Hellenic Studies at the University of Washington, Seattle. Her publications include Alexander the Great in His World (Wiley-Blackwell 2007), The Trojan War (2005), Finding People in Early Greece (2005), and Citadel to City State: The Transformation of Greece 1200-700 BCE (1999).